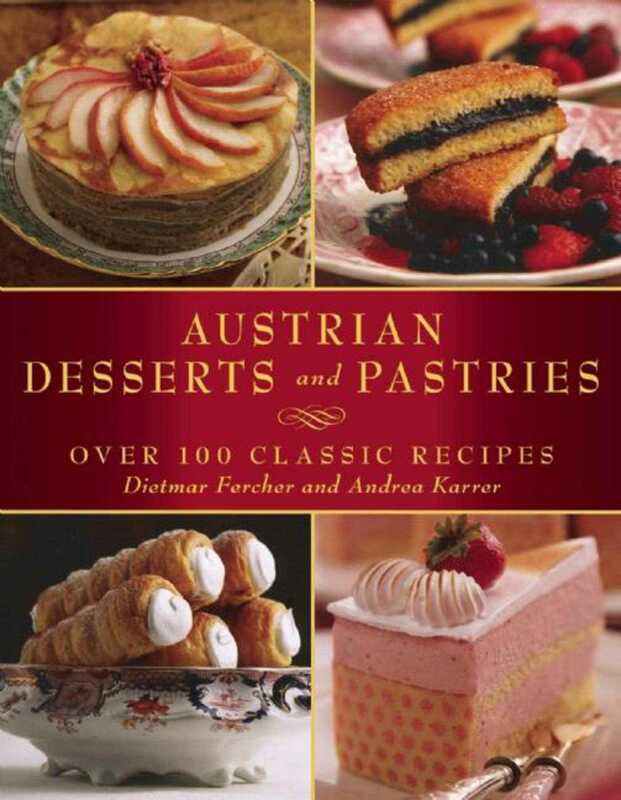 Recreate the romantic Viennese café-patisserie with delectable variations of strudels, tortes, cookies, parfaits, and more. Whether it’s delicious esterhazyschnitten (meringue slices with buttercream filling), fluffy schaumrollen (puff pastry rolls filled with soft vanilla meringue), or classic Bundt cake, these desserts represent the finest of Austrian cuisine. Viennese pastry chef Dietmar Fercher offers 180 of his irresistible recipes, photographed by Konrad Limbeck with mouth-watering results. Delve into the history behind each scrumptious dessert, enjoy personal anecdotes from the chef, learn baking tips that show you how to make different types of dough from scratch, and make use of recipes for basic sauces, creams, and cake bases. Channel your inner Viennese chef and whip up traditional desserts with a modern twist, such as rhubarb strudel with almond sauce, bilberry cookies, strawberry cream schnitten, topfen cream torte, plum parfait, and pistachio roulade. These sophisticated and diverse desserts, which are divided into warm and cold offerings, will satisfy any palate.